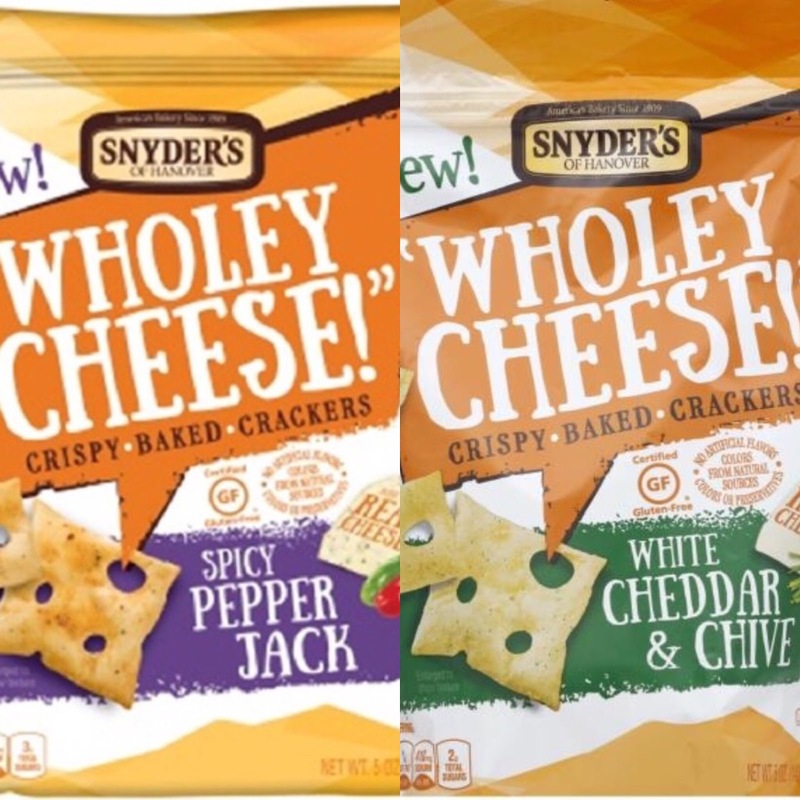 Snyder's of Hanover, now owned by Campbell Soup Company, has released new gluten-free snack flavors across several product lines. Gluten-Free Hot Buffalo Wing Pretzel Pieces are the first offering in the popular Pretzel Pieces line free from gluten, soy, dairy and eggs. 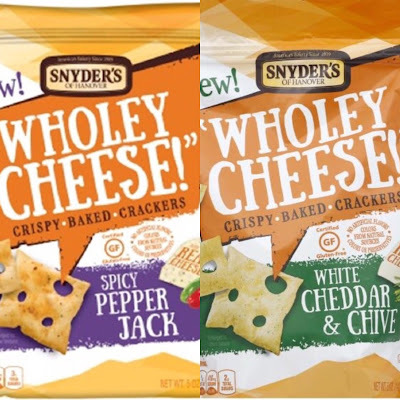 Snyder's collection of certified gluten-free baked crackers, Wholey Cheese!, have two new flavors: Spicy Pepper Jack and White Cheddar & Chive. 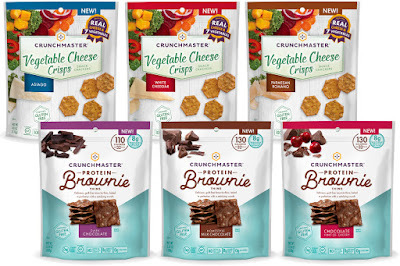 Crunchmaster is introducing two new gluten-free product extensions. 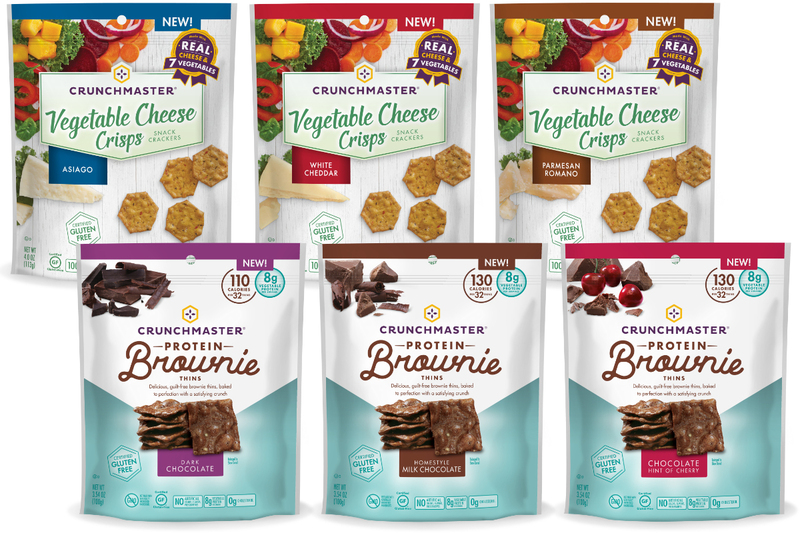 The company's Vegetable Cheese Crisps are made with seven vegetables - spinach, kale, carrot, red pepper, pumpkin, beet and onion. The cheese varieties include white Cheddar, Asiago and Parmesan Romano. The new Protein Brownie Thins come in three flavors: homestyle Milk Chocolate, Chocolate with a hint of cherry, and Dark Chocolate. 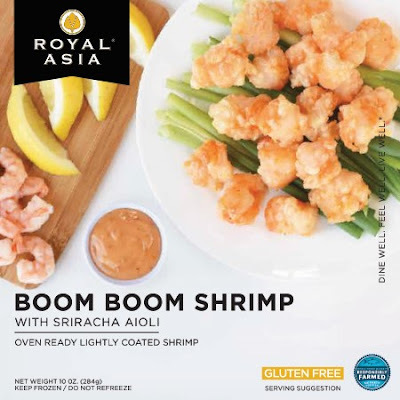 Reader Marie S. let me know that Royal Asia's Boom Boom Shrimp, sold at Whole Foods in the seafood freezer section, is gluten free. The appetizer is similar to Bonefish Grill's fried Bang Bang Shrimp. If you haven't already noticed, the tumeric herb is the latest ingredient that's trending in the food world. 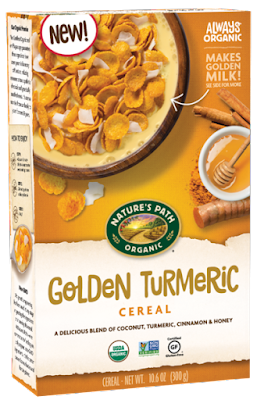 Nature's Path's new gluten-free Golden Tumeric cereal is made with corn flakes and is spiced with tumeric, cinnamon, ginger and black pepper. It's currently available at Costco. New from Katz Gluten Free are Chocolate Creme and Lemon Creme cupcakes. Use promo code WELCOME20 for 20% off your entire order; there's also free shipping for orders over $50. (Your purchase through these affiliate links will support Gluten Free Philly). North Italia, a Western U.S.-based Italian concept from the owners of Zinburger, is coming to King of Prussia (350 Mall Blvd.) this summer. The menu includes gluten-free pizza and pasta that's prepared separately to avoid cross-contact. The menu at Lil Saigon in Linwood (2110 New Rd., 609-904-2778) indicates which items contain gluten. Most boxes and soup bowls can be prepared gluten free. Urbano Mexican Kitchen & Bar in Bethlehem (526 Main St., 610-419-1736) offers gluten-free tacos and rice bowls on its dinner menu. Stella Cidre hard cider is available from the bar. 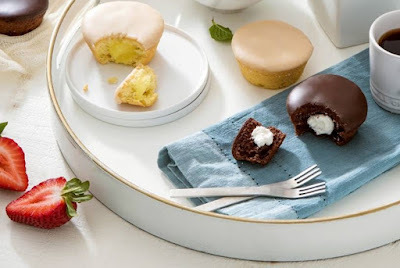 Delaware Online reports that Wilmington's Cupcake Heaven is closing next month. The 10-year-old bakery has offered gluten-free cupcakes since its inception. Children's Hospital of Philadelphia is hosting a support group meeting this Sunday at the Specialty Care Center in King of Prussia (550 S. Goddard Blvd.) from noon to 2 p.m. Attendees are asked to bring a gluten-free snack to share. RSVP with the number of children and caregivers attending via email. With the updated Gluten Free Philly app for iOS and Android devices, find nearly 1,700 area gluten-free-friendly businesses on the go, search by cuisine or neighborhood, make reservations and more!